The 2019 Believe in Kids Dinner celebrates the possibility within each child and honors the supporters, advocates, staff, and families who truly believe in our kids. 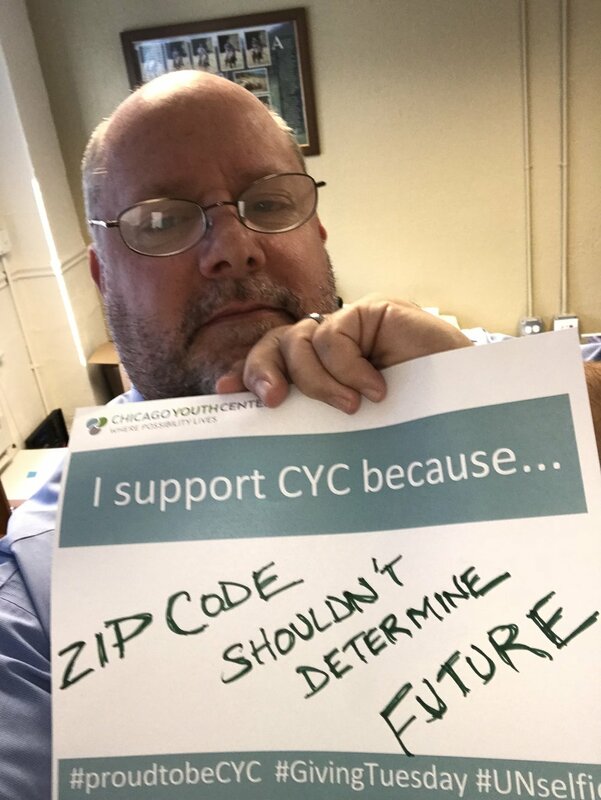 This signature fundraiser enables Chicago Youth Centers (CYC) to continue delivering its transformative programs to more than 1,400 children and their families living in Chicago’s divested communities. 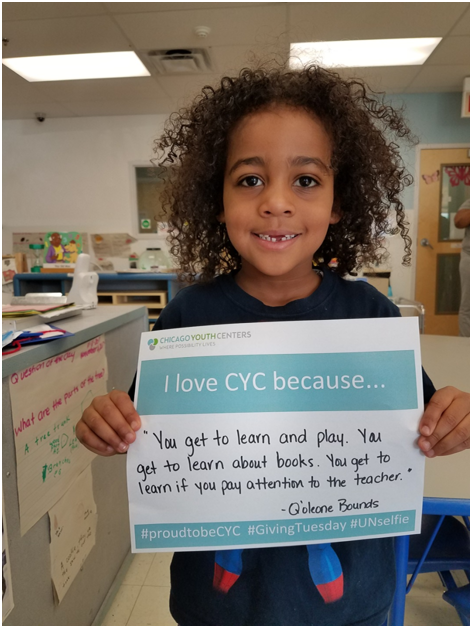 Through CYC’s early childhood, after-school, and summer programs, youth strengthen their social-emotional skills, enrich their learning, and forge paths toward successful, happy futures. This year’s dinner is dedicated to the legacy of James R. Donnelley, who passed away in 2018. 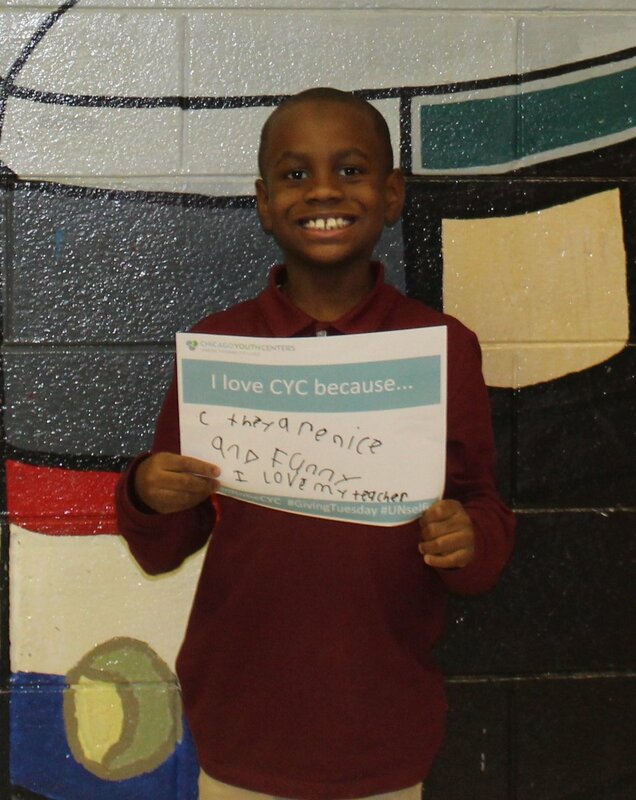 Jim was a devoted Past Chairman of CYC’s Board of Directors, and he strongly believed in CYC’s mission. Join us to hear keynote speaker David Rodriguez, Citadel Security Supervisor and CYC alumnus, speak about the impact that our programs have had on his life. The evening, attended by more than 500 Chicago business leaders, will include a cocktail hour, a delicious dinner, an exclusive silent auction, and a thrilling paddle raise. We hope to see you there! Whether you like your cocktail shaken or stirred, you are sure to have a blast at the Fourth Annual Shake & Stir, Chicago's only James Bond-approved soiree! 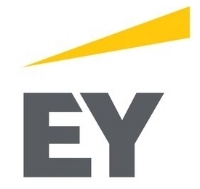 Join the Chicago Youth Centers Auxiliary Board and presenting sponsor Epsilon Economics on Friday, February 22, at the elegant Wintrust Grand Banking Hall (231 S. LaSalle Street) for a night of live music, dancing, cocktails, food, an extensive silent auction, and more! Online ticket sales have now ended. Tickets will be available for purchase at the door. The night will begin with an exclusive VIP Cocktail Hour from 7-8 p.m for our VIP guests. During this time, they can network with top Chicago business leaders, enjoy unique entertainment like up close magic with Nick Roy of the Magic Penthouse, and sip on VIP exclusive cocktails provided by Sidebar. As a VIP guest, you will also get first dibs on our wine pull and silent auction. An open bar featuring cocktails sponsored by Tito's Handmade Vodka, beer sponsored by Revolution Brewing, and wine. VIP guests will have an exclusive bar to ensure speedy service! Food stations featuring delicious Chicago bites, including a variety of cuisines from Twomaytoz Event Catering, New Line Tavern, Aloha Poke, Sidebar, and Dos Toros Taqueria. And who can forget the mouthwatering desserts from Beyond Delicious Cakes & More? 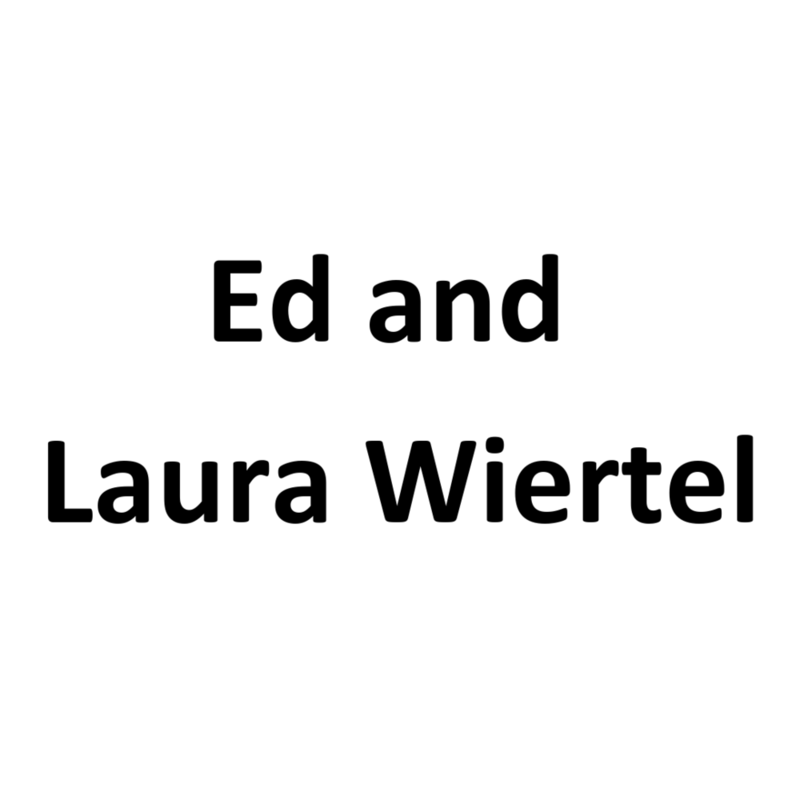 An extensive silent auction featuring tours, restaurant packages, and shopping experiences at Chicago's top restaurants, distilleries, and stores. Do not miss your chance to snag the luxurious handmade Lotuff leather duffle travel bag, which retails for $1,200! Access to the official afterparty hosted at the Hubbard Inn. Shake & Stir guests can skip the line and get free cover and a drink! *Uber code valid for $10 off one ride. The 2018 annual Believe in Kids Dinner celebrates and honors the spark, or possibility, within every child, and the advocates, supporters, staff, families, and mentors of Chicago Youth Centers (CYC) who help to ignite that spark. On Thursday, May 17, 2018, join the Chicago Youth Centers Board of Directors and other changemakers at the gorgeous Ritz-Carlton Hotel from 6 to 9 p.m. for a cocktail reception followed by an inspiring dinner and program. When youth discover their unique potential, develop character, and build employable skills, they are prepared to be 21st century leaders. This event enables CYC to continue delivering its transformative programs that make this outcome possible for our youth. Nearly 90% of every dollar raised from the Believe in Kids Dinner directly benefits CYC's programs. Individual tickets start at $500 and sponsorship packages are still available. 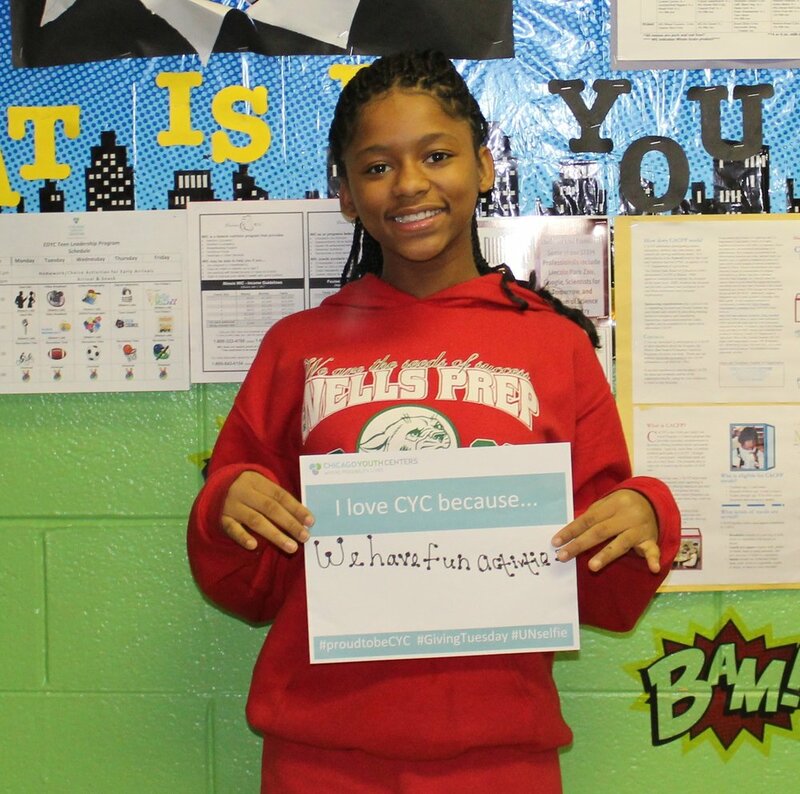 At Chicago Youth Centers, we believe in our children. We don’t just get them through the day; we prepare them for life. Thank you for being a changemaker. We look forward to celebrating together on May 17. For questions about sponsorship packages, please contact Lauren Robinson at lauren.robinson@chicagoyouthcenters.org or (312) 913-1700 ext. 450. 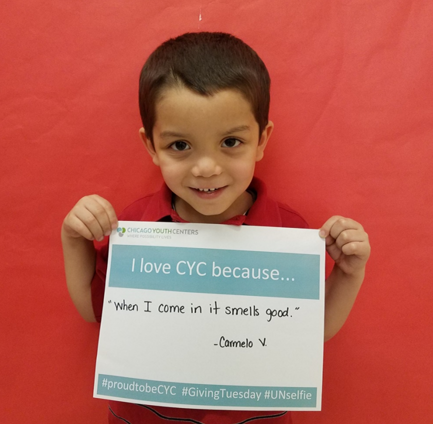 We are grateful for the support of donors like you which has enabled CYC to serve countless children and families for the last 60-plus years. But we can do more. 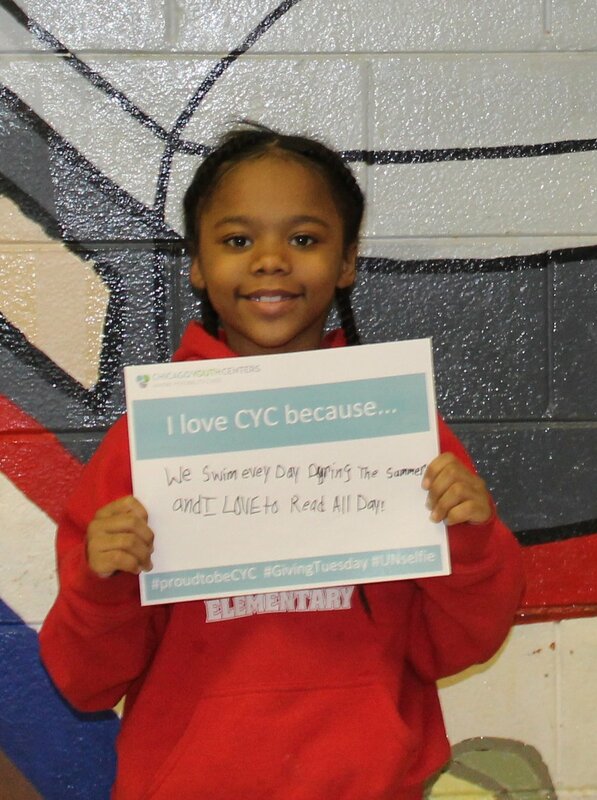 As CYC looks forward to deepening our impact, we encourage you to contribute to our #GivingTuesday campaign on Nov. 28. This year, we are participating in the Newman's Own Holiday Challenge and our campaign has officially begun. 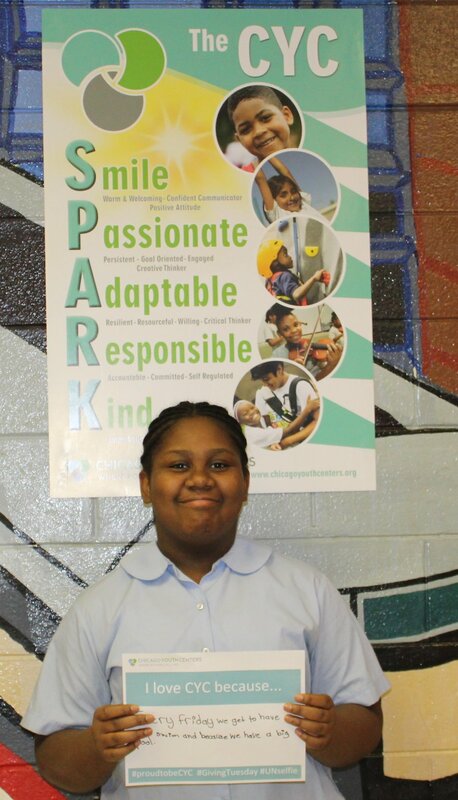 Every dollar counts toward paving the road to a bright future for children in Chicago's underserved neighborhoods. The best part? We could win prize money too! We hope you will join our team of fundraisers and tell your friends and family why you are #proudtobeCYC. Then, join our #UNselfie campaign! 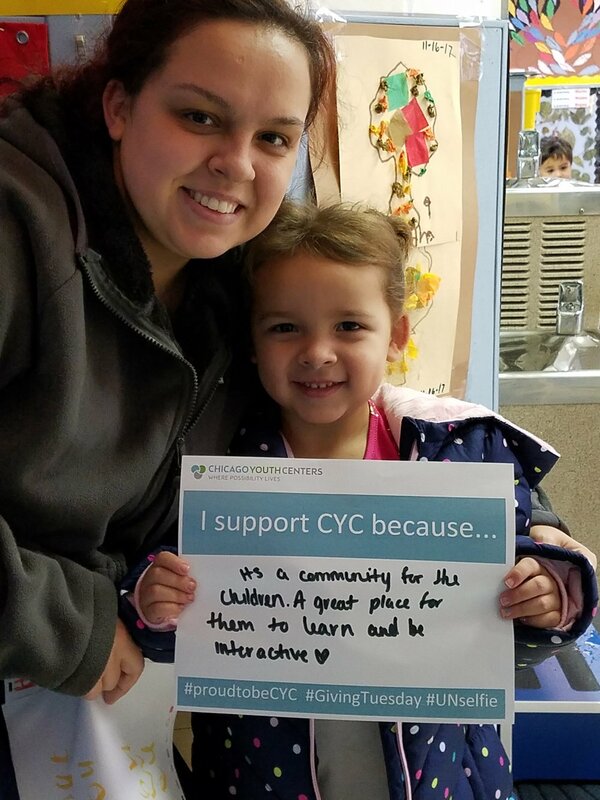 Share what it is about CYC that makes it special to you by printing and filling out this template, taking a selfie with it, and posting it on your social media. Be sure to tag us — we have already gotten the party started on our Instagram page. 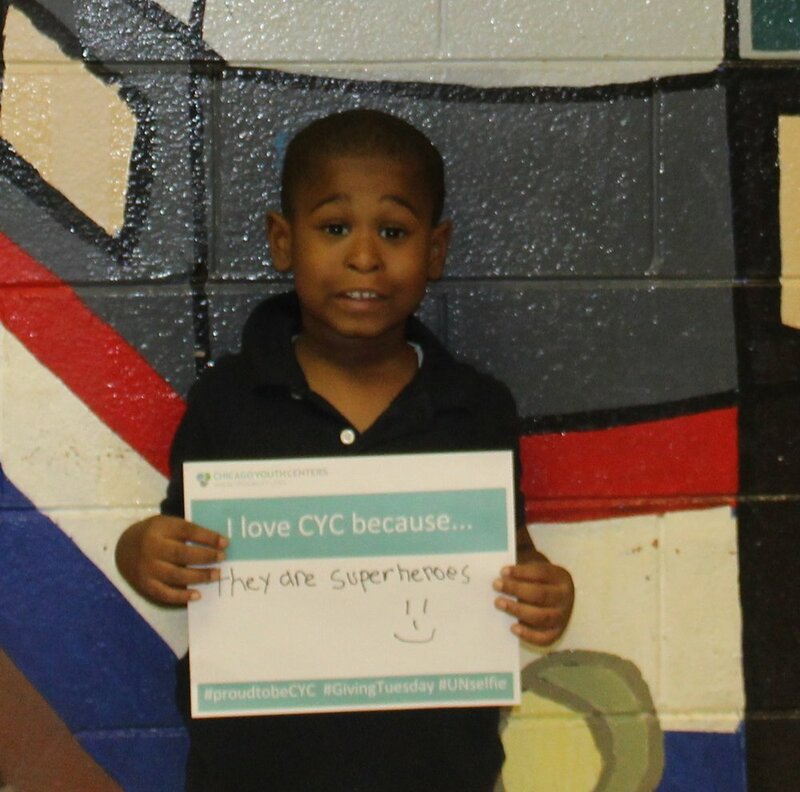 Join us on Thursday, May 18, for a memorable evening at the Standard Club to celebrate and honor the CYC students, alumni, families, staff, and supporters who go above and beyond to make a powerful difference within our communities. However you like your martini, we’ve got you covered at the second annual Shake & Stir. Join the Chicago Youth Centers (CYC) Auxiliary Board for music, dancing, James Bond-approved cocktails, local bites, and more!